Claire was inspired by a petite vintage purse made in Paris. The purse features a hidden zippered body when closed, making the contents very secure. 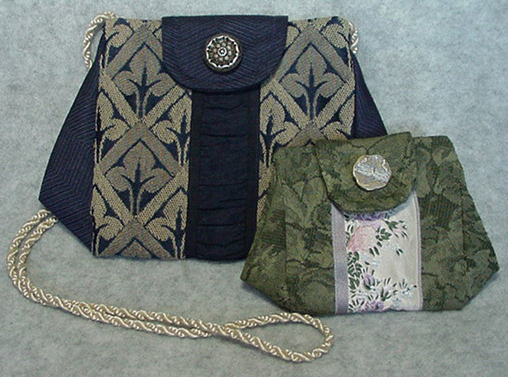 Options include clutch or shoulder styles in three sizes. The front panel is ideal for any desired embellishment.